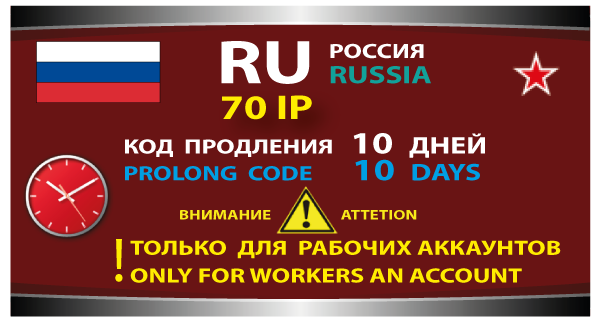 PROLONG CODE - Standard RU 70 IP for 10 days. The control panel in 3 languages, English, German and Russian. You see page: PROLONG CODE - Standard RU 70 IP for 10 days. PROLONG CODE - Russian 3000 IP proxy - 10 days.